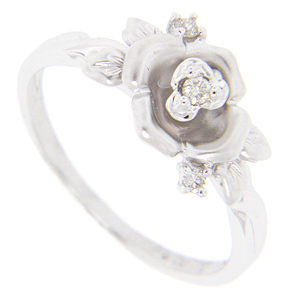 This 14K white gold modern engagement ring is crafted in the shape of a rose. The rose and attending leaves have a matte finish. 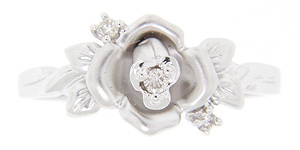 The rose can also be ordered with a brightly polished surface if requested. Diamonds are set in and around the flower. 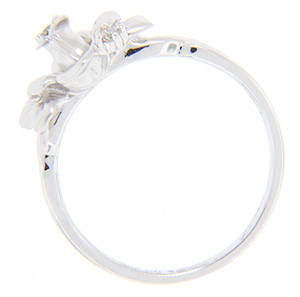 The ring measures 9mm in width. A red gold version is available (R1834). Size: 6 1/2. We can re-size.